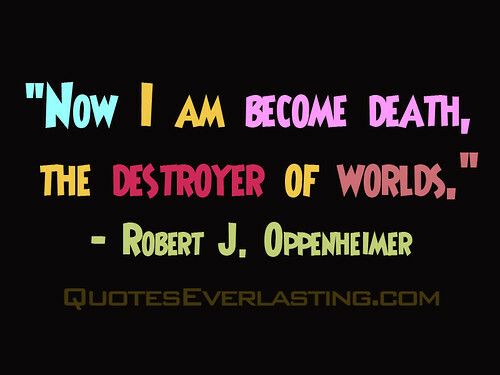 Robert Oppenheimer is often referred to as the ‘father of the atomic bomb’. He was a theoretical physicist who worked at institutions such as the University of California, Berkeley and Princeton University. Oppenheimer was also director of the Los Alamos Laboratory where the atomic bomb was developed. Robert Oppenheimer was born Julius Robert Oppenheimer was born in New York City on April 22nd 1904. Following graduation from Harvard University Oppenheimer moved to England in 1925 to Study at Cambridge University. A year later he moved to the University of Göttingen in Germany where he was awarded a PhD in 1927 at the age of 23. He was appointed Associate Professor at the University of California, Berkeley in 1929 where he taught until 1942. The growth in popularity of the National Socialist Party (Nazi Party) in Germany and Hitler’s rise to power had a major influence on Oppenheimer. It led him to support resistance movements and he became associated with left wing politics. He supported the letter sent by Einstein and others to President Roosevelt at the beginning of World War II which indicated that the Nazi’s had the capability to develop a nuclear bomb. Roosevelt established the Manhattan Project in Los Alamos, New Mexico and Oppenheimer was appointed scientific director of the project in 1942. On July 16th 1945 the first atomic bomb was successfully exploded in New Mexico. Within a month a further two atomic bombs were exploded, one in Nagasaki, Japan, and the other in Hiroshima, effectively ending World War II. Oppenheimer refused to support the development of the hydrogen bomb in 1949 because of his regrets at the mass destruction caused by the atomic bomb. He was accused of having communist sympathies because of his previous association with left wing politics and he resigned from his post. He was appointed Director of the Institute of Advanced Study at Princeton University where he remained until 1966. Robert Oppenheimer, a theoretical physicist who is referred to as the ‘father of the atomic bomb’, died aged 62 in the year 1967 On This Day. Louis Washkansky was the first person in history on whom a successful heart transplant was performed. The operation was carried out in December 1967 at Groote Schuur Hospital in Cape Town, South Africa. The heart transplant was performed by a team of surgeons led by Dr Christiaan Barnard. At the time of the transplant Louis Washkansky was 54. He had served as a soldier during World War II and was a keen sportsman. In later years however, he suffered from ill-health and developed incurable heart disease. Washkansky agreed to undergo a heart transplant operation. Dr Christiaan Barnard was the senior cardiothoracic surgeon at Groote Schuur Hospital in Cape Town. For several years he had carried out extensive experimentation on heart transplantation in dogs. On December 2nd 1967 a heart became available from a young woman who had been fatally injured in a traffic accident. In a nine hour operation, Barnard successfully transplanted the heart to Washkansky. Louis Washkansky survived for 18 days. He died of pneumonia as he was taking immunosuppressive drugs. Louis Washkansky, the first person in history on whom a successful heart transplant was performed, died in the year 1967 On This Day. Seven Drunken Nights had its origins in similar songs from England, Scotland and Europe. 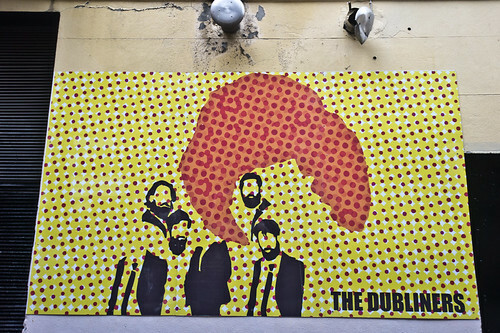 The recording by the Dubliners in 1967 reached No.1 in Ireland and No. 7 in the UK charts. It was banned by the BBC. 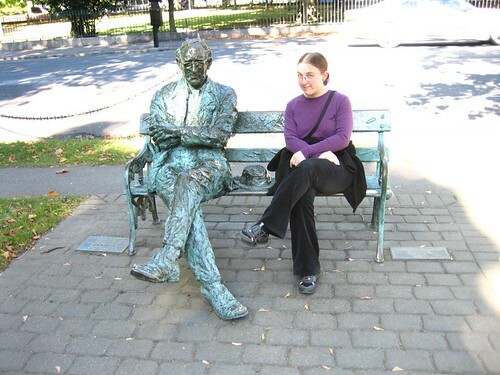 As a result the Dubliners could only sing the first five nights. Seven Drunken Nights, a humorous folk song recorded by The Dubliners entered the UK charts in the year 1967 On This Day.